We are situated within Howdon Park, a 2 minute walk from Howdon metro station. We offer childcare for children aged 2-11 years old and are open Monday to Friday from 8am - 6pm, and also school holidays. Funded/non funded spaces are available and we are flexible with sessions/days to suit your needs. We offer a wraparound service for nursery children who attend Stephenson, Denbigh and St Aidan's. We offer afterschool care for children who attend Stephenson and Denbigh. 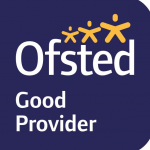 "Highly recommended , Brilliant Childcare, I’ve been using Little Rockets for All of Our Children for around 9/10 Years"
"Brilliant staff. Brilliant service. The staff makes little rockets without a doubt"
"I am so happy how far ***** has came with his confidence. Hes like a completely different child! He loves going to nursery"
"You all do a fab job, keep up the hard work and thank you for all you do for *****!" "A great out of school club, with a friendly team"
"***** has come a long way since starting little rockets, he loves going, the staff are very friendly I would recommend it to anyone"
"I cannot fault the service provided or the staff. All the staff are friendly and approachable, even when I'm having a senior moment. They are discreet regarding sensitive family matters and provide regular updates. I am comfortable sharing information. I have recommended Little Rockets to anyone I know in the area with young children and will continue to do so"
"**** hasn't been going to this nursey very long but after the first viewing she didnt want to leave. **** thinks wrap around, is a after school club and she seems to really enjoy it. So pleased at how well shes took to the staff and children. Shes made new friends and settled in lovely"
"****** has only been at little rockets for a short time and every time he leaves he can't wait to get back. He has been made to feel very welcome and counts down the days until he is back"
Lunch is served between 11.30am and 12.30pm. A healthy packed lunch is required for children booked in during this time. We provide a snack and a drink during both am/pm sessions. A snack is provided from children booked in from 3.30pm for out of school’s club. Includes a variety of cereals, toast with condiments, fruit, and milk/water. Stephenson/Denbigh Wrap around Children will be taken/collected from their nursery. Children will be collected regularly by car. For this we charge £1.00 per day. You will only be charged on days the car is used. Out of school’s club (Stephenson/Denbigh) Children are collected from school / hot snack provided. A healthy packed lunch is required if booked in over lunch 12.00pm. A snack and a drink is provided during both am/pm. Hot snack provided if booked in for tea 4.00pm. For any more information please car. Thank you. Below are the latest reviews for Rosielr. Please note that reviews represent the subjective opinions of other Childcare.co.uk users and not of Childcare.co.uk. Parents must carry out their own checks and references on childcare providers to ensure that they are completely happy before enaging in the use of their services. My 2 children have only attended little rockets for a short time and they can't rate it enough. They absoulty love going, and count down the days till they are back. The staff are amazing and easy to connect with. Can't wait till our youngest is 2 so he can start there as well.